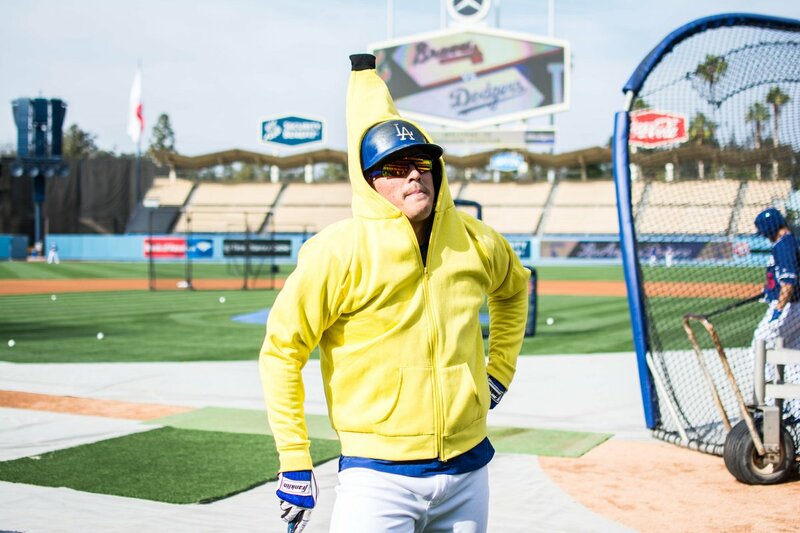 Over the last couple years, Enrique Hernandez has endeared himself to Dodger fans with a charming personality and a number of hilarious antics. His versatility has been his best tool on the field. Kiké has played at every position except for pitcher and catcher in his three years as a Dodger, and played at least passable defense at each position. He burst onto the scene in 2015 with the Dodgers with an impressive .307/.346/.490 triple slash line in 218 plate appearances. His splits were fairly significant though, as he was not good against right-handed pitching but clobbered southpaws. In 131 plate appearances against righties, Hernandez hit .234/.262/.331 with three home runs and 29 strikeouts against four walks. In 87 plate appearances against lefties, Hernandez hit .423/.471/.744 with four homers and 17 strikeouts against seven walks. The 2016 season was rough for Hernandez all around, because he struggled to hit both lefties and righties. It’s excusable, as his father was diagnosed with cancer in December 2015. That surely weighed on the usually light-hearted Hernandez, so when the cancer went into remission in November 2016, that must have felt like a huge monkey off his back. In 2017, Hernandez showed some more pop overall, but continued to struggle against righties. In 165 plate appearances against right handed pitching, Hernandez posted a .159/.244/.255 triple slash line and only hit one home run. In 177 plate appearances against lefties, Hernandez hit .270/.367/.579 with 10 home runs. So his role heading into 2018 was pretty easily defined. He’d find his playing time at one of seven positions against left-handed pitching and be used as the first bat off the bench against left-handed relievers. He’d also fill in to give starters regular days off. However, Hernandez has raised eyebrows this spring with a newfound ability to mash against right-handed pitching. Hernandez had a phenomenal spring, with an overall triple slash of .340/.446/.745 in 56 plate appearances entering the Freeway Series. It’s obviously a small sample size, but Hernandez has been one of the best Dodger hitters for the last month. Only 13 of these plate appearances have come against lefties, and he’s hitting .333/.385/.500 with two extra base hits (both doubles). Hernandez has crushed right handed pitching, with a .343/.465/.829 triple slash and four home runs in 42 plate appearances. His strong spring against righties was a bit of a surprise, but it was foreshadowed by a strong 2017 playoff run for Hernandez. Kiké appeared in 13 of the 15 playoff games the Dodgers played last October, registering a plate appearance in 12 of them. Hernandez reached base in 11 of those 12 contests and posted a .320/.452/.720 triple slash line. His three home run performance in Game 5 of the NLCS against the Cubs grabbed the headlines, but Hernandez was one of the more dependable bats for the Dodgers all postseason. While he still fared better against lefties, Hernandez still posted a strong .308/.400/.538 line against righties. Still, it’s tough to read too much into Hernandez’s newfound ability to hit righties. He’s only 26, so it’s entirely possible that he’s just improving at a normal rate and he’s actually a good hitter. If Hernandez can actually hit righties now, it could turn him into one of the more valuable players in the league. For starters, Hernandez will cost the Dodgers $1.6 million this season. This offseason was his first arbitration eligible year, and he’s still under team control through the 2020 season. In his four-year Major League career, Hernandez has logged 100 or more innings at every position except for first base, catcher and pitcher. He played at first for the first time in his career last year, and other than his use of yoga pants while at first, nothing went horribly wrong. He was worth 1.3 fWAR in 352 plate appearances last season, while being a liability in about half of his plate appearances. It’s a big if, but if Hernandez can become a league-average bat against righties, his value would skyrocket. Last season, Hernandez posted a 144 wRC+ against lefties, which was tied for the 48th best in baseball among hitters with 60 or more plate appearances against lefties. Against righties, Hernandez’s 36 wRC+ was the third-worst in baseball among hitters with 150 or more plate appearances against righties (60 and 150 are just the numbers that FanGraphs set the splits for). 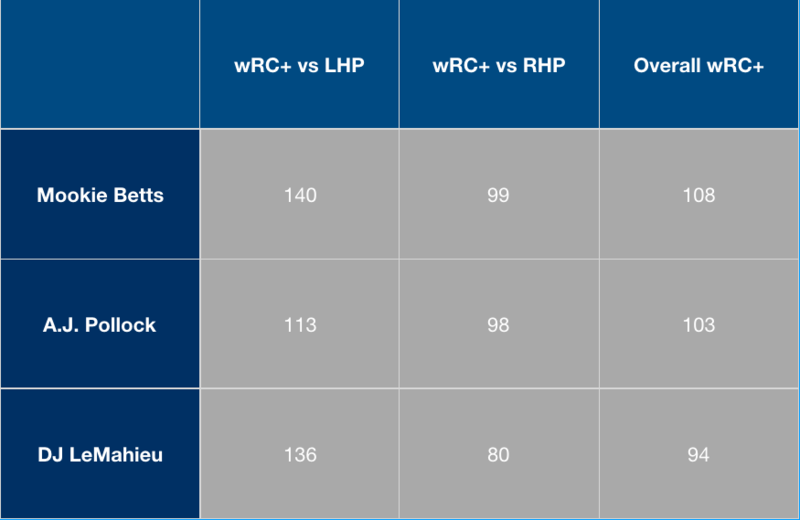 Basically, Hernandez was a top-tier hitter against lefties and the worst non-White Sox hitter against righties (only Adam Engel and Tyler Saladino had lower wRC+’s against righties than Hernandez). Imagine a world where Hernandez, who has shown signs of improvement, can hit against righties. He doesn’t even have to mash them like he does lefties. If Hernandez could raise his wRC+ against righties to roughly league average, even while accounting for regression against lefties, he’d be a first-or second-rate MLB starter. It’s not farfetched to think that this is the type of player Hernandez could be if this spring is an indication of his ability against righties. Obviously, we should weigh his career numbers much more heavily than one good month, but Hernandez has taken great strides this spring, and if it’s at all sustainable, he could become more of a regular fixture in the lineup. Hernandez figured to be in the Opening Day lineup Thursday against Madison Bumgarner. One of the most endearing things, to me, about Hernandez is his dominance over Bumgarner in his career. He has faced Bumgarner 31 times in his career — his second-most plate appearances against any pitcher — and holds a .467/.484/.933 line, including three home runs and five doubles. With Bumgarner on the disabled list, Hernandez will likely still be in the lineup against lefty Ty Blach, who will start for the Giants rather than Johnny Cueto in Bumgarner’s place. Justin Turner‘s broken wrist opens a door for even more Hernandez playing time early on, again thanks to his versatility. The most likely option to fill in at third base is Logan Forsythe, which opens up second base for Hernandez, depending on how much they actually want to play Chase Utley. 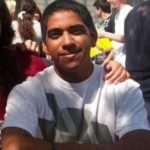 If Matt Kemp falters or gets moved, Hernandez could take over as the right-handed half of the left field platoon as well. Expect to see a lot of Hernandez this season. Hopefully I don’t regret those words next time he wears his yoga pants, but if his spring is any indication, Hernandez could be vital piece to the Dodgers’ 2018 season and the future.